I created all the graphics on this site unless otherwise noted. All graphics on this site are free to use on non-commercial sites that show support for the men and women that serve to protect the freedoms that we enjoy. I would also request that my graphics not be altered without permission or offered as free graphics from another page. I also ask that you put a link back to my page if you use any of my graphics. I created this site on 10/22/99 and will be updating often. If you would like to use a banner to link to my page you can get it here. Copyright Ó ; 1999, 2000, 2001, 2002 All Rights Reserved. 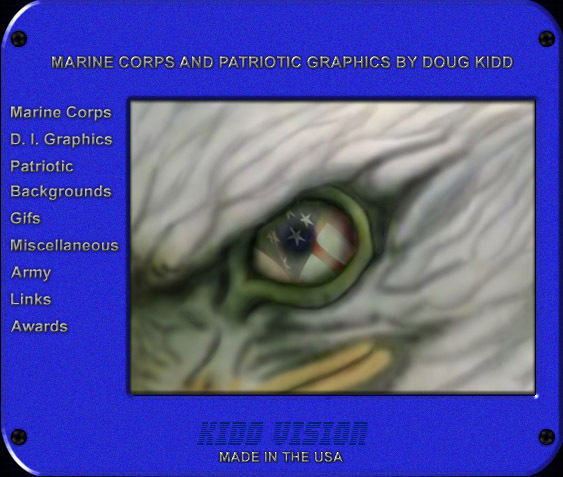 This site was created and maintained by Doug Kidd.